A PBX (private branch exchange) is an automated phone switch that routes calls within a company or organization. PBX systems have been in use in business for many years, and have evolved over time to better serve the needs of companies as they grew. New technologies and a greater need for flexible routing solutions have advanced the field of communication and drastically changed the way people communicate with each other. A company's incoming calls used to be connected manually by an operator using cords and a switchboard. 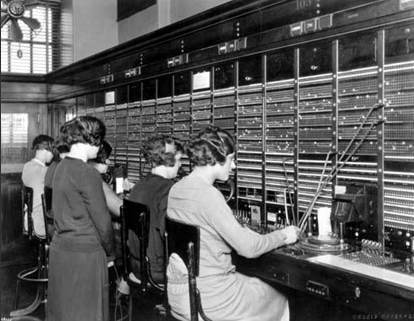 When the PBX system came along, it eliminated the need for humans to operate the switch board. The PBX system was designed to route phone calls within companies with the click of a button. Companies can now purchase an off-site hosted solution (like MongoTEL) to take care of their internal routing needs. This also allows companies to customize their phone solution to the exact process which they're looking to implement.